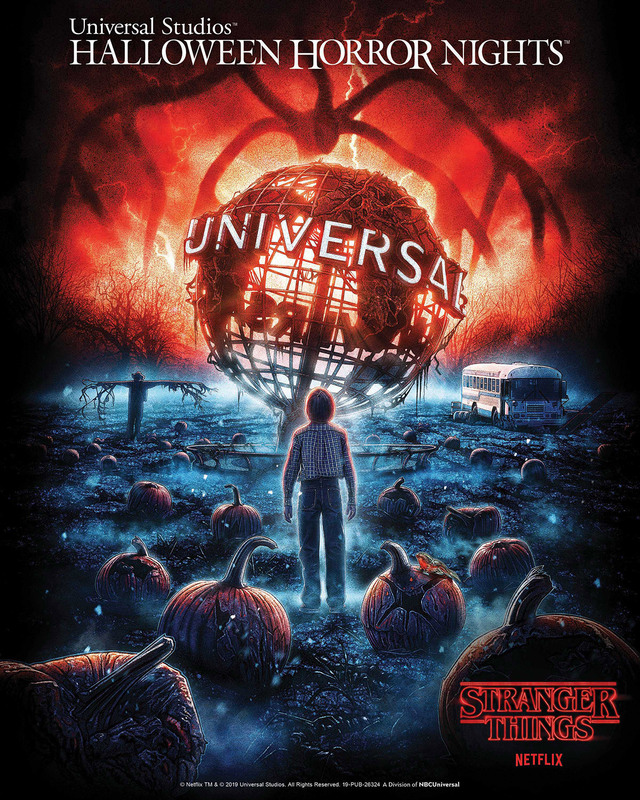 Netflix’s Stranger Things is returning to Halloween Horror Nights this fall at Universal Studios Hollywood and Universal Orlando Resort, debuting all-new mazes inspired by Seasons 2 and 3 of the critically-acclaimed series. You can check out the announcement video below, as well as the new key art in the gallery! The mazes on both coasts will also parallel the hit show as it leaps forward to 1985, taking guests on a terrifying excursion through portions of Stranger Things Season 3, which begins streaming July 4 on Netflix. 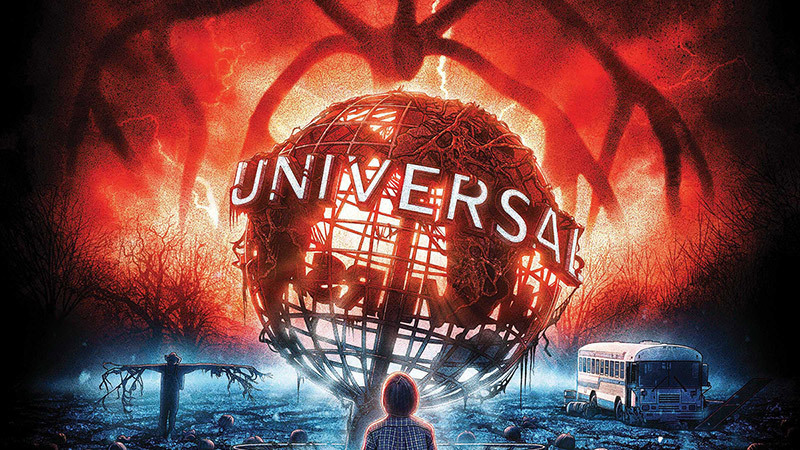 As with the previous mazes, Universal Studios Hollywood and Universal Orlando Resort are partnering with Netflix and the creators and executive producers of Stranger Things to create authentic representations of the blockbuster series. Universal Studios’ Halloween Horror Nights is the ultimate Halloween event. For more than 25 years, guests from around the world have visited Halloween Horror Nights to become victims inside their own horror film. Multiple movie-quality mazes based on iconic horror television shows, films, and original stories come to life season after season. And, the streets of each park’s event are transformed into highly-themed scare zones where menacing scare-actors lunge from every darkened corner. Halloween Horror Nights begins Friday, September 6 in Orlando and on Friday, September 13 in Hollywood. Additional details about the events will be revealed soon. Limited time ticket offers and vacation packages for Universal Orlando’s Halloween Horror Nights are on sale now. For more information, visit www.HalloweenHorrorNights.com.